When I visited Nannuo Mountain in 2009, I was impressed with how sweet and pure the local spring water was. This tea possesses the exact qualities as the Nannuo local spring water – pure, crisp, and sweet. 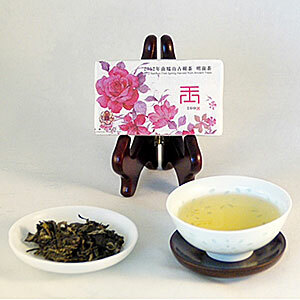 Tea from Nannuo Mountain is known for its softness, fragrance and its quick "hui tian" (returning sweet). This tea also has a savory quality with a the flavor that remains in the mouth and throat for a long time. This is a tea with great aging potential and should be added to any Pu-erh collector’s collection.